Nachdem nun wohl endgültig feststeht, dass die Dateien und E-Mails in der sogenannten FOIA-Datei echt sind, findet in der internationalen Presse und in der Blogger-Szene jetzt eine intensive Debatte über den Inhalt der Dateien und über die Konsequenzen der Affäre statt. Besonders diskutiert wird dabei der Inhalt der mehr als 1000 E-Mails. Um diese bequem nach Inhalten durchsuchen zu können, sei hier die Seite Alleged CRU Emails – Searchable empfohlen. Eigentümlich Frei – Climategate – Klimagate: Der Klima-Lügen-Ballon platzt! 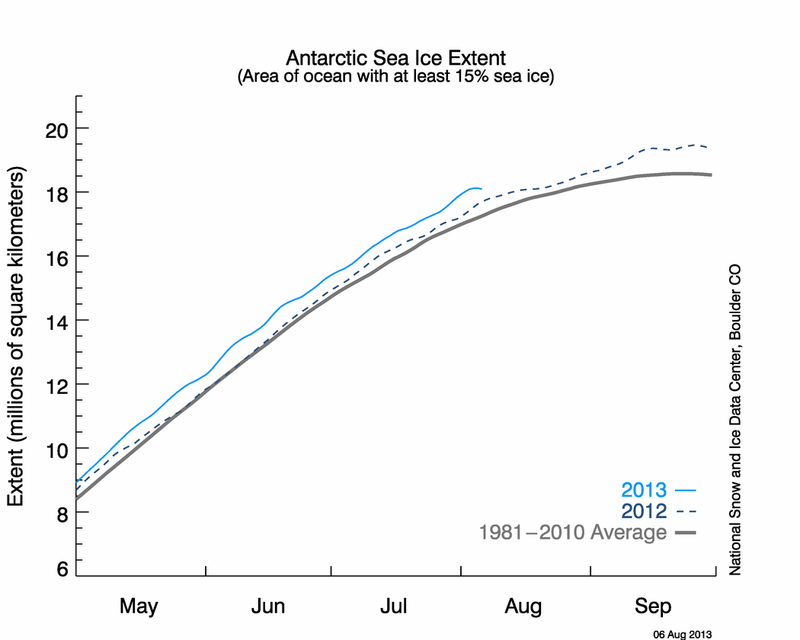 Telegraph – Climategate: the final nail in the coffin of ‚Anthropogenic Global Warming‘? Von den vielen Seiten im Internet auf denen der Inhalt der E-Mails kritisch besprochen wird, seien hier vor allem zwei Beispiele genannt. Die hier vorgestellte Liste stammt ursprünglich aus dem portugiesischen Blog EcoTretas. Eine weitere sehr gute Zusammenstellung gibt es bei Bishop Hill. In an odd way this is cheering news ! We probably need to say more about this. Land warming since 1980 has been twice the ocean warming — and skeptics might claim that this proves that urban warming is real and important. Perhaps we’ll do a simple update to the Yamal post, e.g. linking Keith/s new page–Gavin t? As to the issues of robustness, particularly w.r.t. inclusion of the Yamal series, we actually emphasized that (including the Osborn and Briffa ’06 sensitivity test) in our original post! As we all know, this isn’t about truth at all, its about plausibly deniable accusations. Regarding the „upside down man“, as Nick’s plot shows, when flipped, the Korttajarvi series has little impact on the overall reconstructions. Also, the series was not included in the calibration. 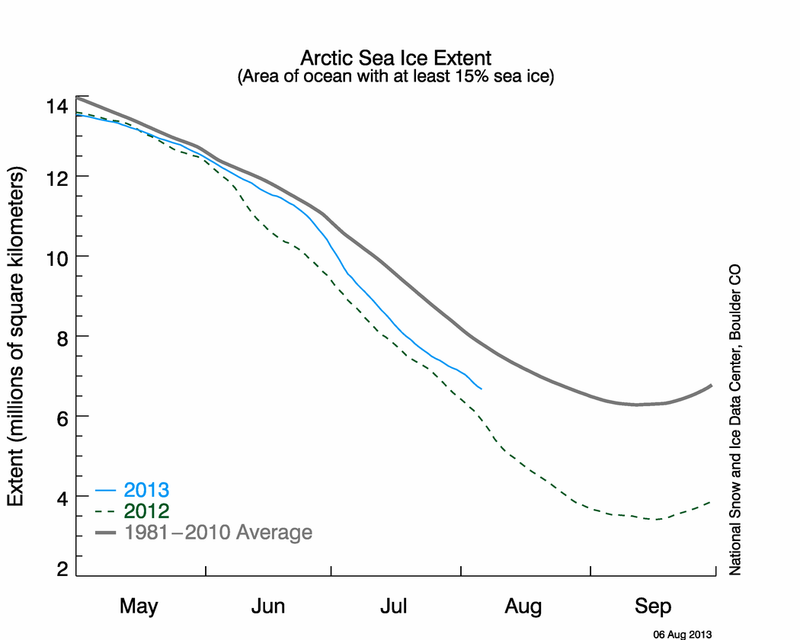 Nonetheless, it’s unfortunate that I flipped the Korttajarvi data. We used the density data as the temperature proxy, as recommended to me by Antii Ojala (co-author of the original work). It’s weakly inversely related to organic matter content. I should have used the inverse of density as the temperature proxy. I probably got confused by the fact that the 20th century shows very high density values and I inadvertently equated that directly with temperature. I tried hard to balance the needs of the science and the IPCC , which were not always the same. I worried that you might think I gave the impression of not supporting you well enough while trying to report on the issues and uncertainties . Much had to be removed and I was particularly unhappy that I could not get the statement into the SPM regarding the AR4 reinforcement of the results and conclusions of the TAR. I tried my best but we were basically railroaded by Susan. 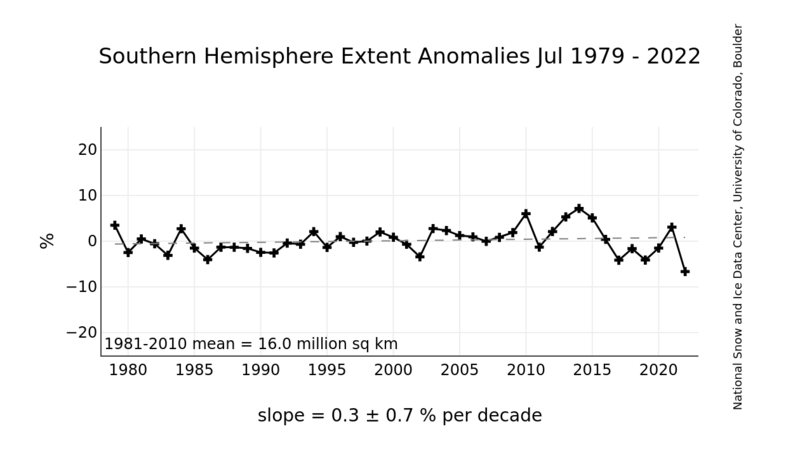 So, if we could reduce the ocean blip by, say, 0.15 degC, then this would be significant for the global mean – but we’d still have to explain the land blip. I’ve chosen 0.15 here deliberately. 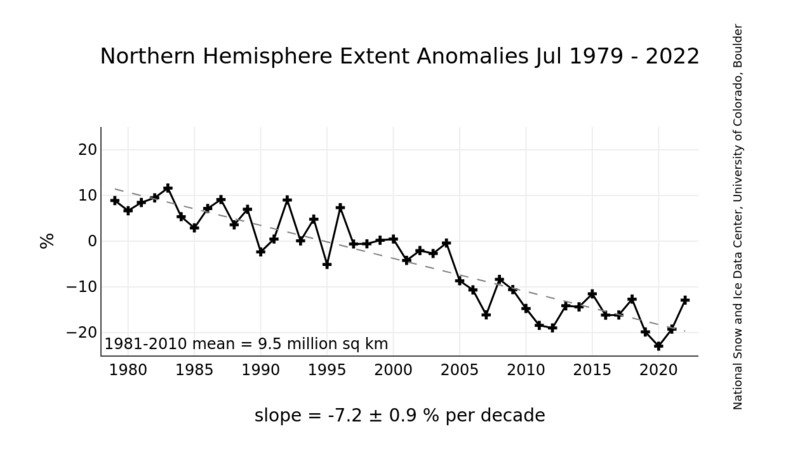 This still leaves an ocean blip, and i think one needs to have some form of ocean blip to explain the land blip (via either some common forcing, or ocean forcing land, or vice versa, or all of these). I really wish I could be more positive about the Kyrgyzstan material, but I swear I pulled every trick out of my sleeve trying to milk something out of that. (…) I don’t think it’d be productive to try and juggle the chronology statistics any more than I already have – they just are what they are (that does sound Graybillian. I know there is pressure to present a nice tidy story as regards ‚apparent unprecedented warming in a thousand years or more in the proxy data‘ but in reality the situation is not quite so simple. We don’t have a lot of proxies that come right up to date and those that do (at least a significant number of tree proxies ) some unexpected changes in response that do not match the recent warming. Another serious issue to be considered relates to the fact that the PC1 time series in the Mann et al. analysis was adjusted to reduce the positive slope in the last 150 years (on the assumption – following an earlier paper by Lamarche et al. – that this incressing growth was evidence of carbon dioxide fertilization) , by differencing the data from another record produced by other workers in northern Alaska and Canada (which incidentally was standardised in a totally different way). This last adjustment obviously will have a large influence on the quantification of the link between these Western US trees and N.Hemisphere temperatures. At this point, it is fair to say that this adjustment was arbitrary and the link between Bristlecone pine growth and CO2 is , at the very least, arguable. As all our (Mike, Tom and CRU) all show that the first few centuries of the millennium were cooler than the 20th century, we will come in for some flak from the skeptics saying we’re wrong because everyone knows it was warmer in the Medieval period. We can show why we believe we are correct with independent data from glacial advances and even slower responding proxies, however, what are the chances of putting together a group of a very few borhole series that are deep enough to get the last 1000 years. Basically trying to head off criticisms of the IPCC chapter, but good science in that we will be rewriting people’s perceived wisdom about the course of temperature change over the past millennium. The skeptics seem to be building up a head of steam here ! Maybe we can use this to our advantage to get the series updated ! Odd idea to update the proxies with satellite estimates of the lower troposphere rather than surface data !. Odder still that they don’t realise that Moberg et al used the Jones and Moberg updated series ! Francis Zwiers is till onside. He said that PC1s produce hockey sticks. He stressed that the late 20th century is the warmest of the millennium, but Regaldo didn’t bother with that. Also ignored Francis’ comment about all the other series looking similar to MBH. The IPCC comes in for a lot of stick. Leave it to you to delete as appropriate! The two MMs have been after the CRU station data for years. If they ever hear there is a Freedom of Information Act now in the UK, I think I’ll delete the file rather than send to anyone. Can you delete any emails you may have had with Keith re AR4? Keith will do likewise. He’s not in at the moment – minor family crisis. Can you also email Gene and get him to do the same? I don’t have his new email address. We will be getting Caspar to do likewise. I’m getting hassled by a couple of people to release the CRU station temperature data. Don’t any of you three tell anybody that the UK has a Freedom of Information Act ! It is true that the skeptics twist the truth clockwise rather than counterclockwise in the Southern Hemisphere? There was indeed a lot of activity last week. Hans Von Storch’s resignation as chief editor of CR, which I think took a lot of guts, couldn’t have come at a better time. (..) It was on the night before before the notorious „James Inhofe“, Chair of the Senate „Environment and Public Works Committee“ attempted to provide a public stage for Willie Soon and David Legates to peddle their garbage (…) Fortunately, these two are clowns, neither remotely as sharp as Lindzen or as slick as Michaels, and it wasn’t too difficult to deal with them. 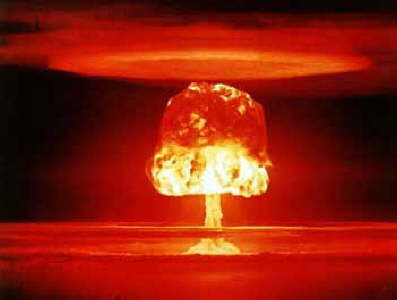 Suffice it to say, the event did *not* go the way Inhofe and the republicans had hoped. The democrats, conveniently, had received word of Hans‘ resignation, but the republicans and Soon/Legates had not. If anything, I would like to see the climate change happen, so the science could be proved right, regardless of the consequences. This isn’t being political, it is being selfish. Next time I see Pat Michaels at a scientific meeting, I’ll be tempted to beat the crap out of him. Very tempted. Anyway, I wanted you guys to know that you’re free to use RC in any way you think would be helpful. Gavin and I are going to be careful about what comments we screen through, and we’ll be very careful to answer any questions that come up to any extent we can. On the other hand, you might want to visit the thread and post replies yourself. We can hold comments up in the queue and contact you about whether or not you think they should be screened through or not, and if so, any comments you’d like us to include. You likely know that McIntyre will check this one to make sure it hasn’t changed since the IPCC close-off date July 2006! Hard copies of the WG1 report from CUP have arrived here today. Ammann/Wahl – try and change the Received date! Don’t give those skeptics something to amuse themselves with. Keith and I have discussed the email below. I don’t want to start a discussion of it and I don’t want you sending it around to anyone else, but it serves as a warning as to where the debate might go should the EOS piece come out. I hid behind the fact that some of the data had been received from individuals and not directly from Met Services through the Global Telecommunications Service (GTS) or through GCOS. Keith/Tim still getting FOI requests as well as MOHC and Reading. All our FOI officers have been in discussions and are now using the same exceptions not to respond – advice they got from the Information Commissioner. (…) The FOI line we’re all using is this. IPCC is exempt from any countries FOI – the skeptics have been told this. Even though we (MOHC, CRU/UEA) possibly hold relevant info the IPCC is not part our remit (mission statement, aims etc) therefore we don’t have an obligation to pass it on. If FOIA does ever get used by anyone, there is also IPR to consider as well. Data is covered by all the agreements we sign with people, so I will be hiding behind them. I’d rather you didn’t. I think it should be sufficient to forward the para from Andrew Conrie’s email that says the paper has been rejected by all 3 reviewers. You can say that the paper was an extended and updated version of that which appeared in CR. Obviously, under no circumstances should any of this get back to Pielke. Mike’s idea to get editorial board members to resign will probably not work — must get rid of von Storch too, otherwise holes will eventually fill up with people like Legates, Balling, Lindzen, Michaels, Singer, etc. I have heard that the publishers are not happy with von Storch, so the above approach might remove that hurdle too. I’m having a dispute with the new editor of Weather. I’ve complained about him to the RMS Chief Exec. If I don’t get him to back down, I won’t be sending any more papers to any RMS journals and I’ll be resigning from the RMS. If the RMS is going to require authors to make ALL data available – raw data PLUS results from all intermediate calculations – I will not submit any further papers to RMS journals. is this another witch hunt (like Mann et al.)? How should I respond to the below? (I’m in the process of trying to persuade Siemens Corp. (a company with half a million employees in 190 countries!) to donate me a little cash to do some CO2 measurments here in the UK – looking promising, so the last thing I need is news articles calling into question (again) observed temperature increases – I thought we’d moved the debate beyond this, but seems that these sceptics are real die-hards!!). Also, it is important for us if you can transfer the ADVANCE money on the personal accounts which we gave you earlier and the sum for one occasion transfer (for example, during one day) will not be more than 10,000 USD. Only in this case we can avoid big taxes and use money for our work as much as possible. From: Phil Jones, before 19/06/03 12:33 -0400There are also some snipes at CRU and our funding, but we’re ignoring these here. Also Mike comes in for some stick, so stay cool Mike – you’re a married man now ! So let’s keep this amongst ourselves . (…) I say this as this might come out if things get nasty. NOAA want to give us more money for the El Nino work with IGCN. How much do we have left from the last budget? I reckon most has been spent but we need to show some left to cover the costs of the trip Roger didn’t make and also the fees/equipment/computer money we haven’t spent otherwise NOAA will be suspicious. Politically this money may have to go through Simon’s institute but there overhead rate is high so maybe not! Hackerangriff auf die britischen Climate Research Unit (CRU)? Die Rahmstorf-Mails sind auch interessant. Der Rahmstorf hat anscheinend noch nichts bemerkt? Und Georg Hoffmann ist sein neuer Kumpel. nicht neuer Kumpel, das sind die schon lange, das sieht man schon bei den Anfängen des Rahmstorf Blogs. Ich glaube ich muss mich mal daran machen die Rahmstorf-Mails zusammenzufassen und zu übersetzen. Im Moment fehlt mir nur etwas die Zeit. Mal sehen, vielleicht kommt mir ja einer zuvor? Eine gute Idee. Da Du mit der einschlägigen Terminologie und deren Interpretation wohl am besten vertraut bist, würden Deine Übersetzungen der Authentizität wohl am nächesten kommen. Ich muss ehrlich zugeben, dass ich da so meine Probleme habe. Kaum ist man mal ein paar Tage nicht da und dann ist plötzlich die Hölle los im Internet, lol. Nach intensiven Studium aller Quellen und Kommentare hier wie auch bei R-E wunderte mich eins, wo bleibt eigentlich „Planck“??? Tja, seinen Artikel kann man nicht mal als schwache Verteidigung werten, irgendwie habe ich den Eindruck das er nicht weiß, wie er auf diese Enthüllungen reagieren soll. Auch peinliche Stille bei Rahmstorfs Hausblog, bin mal gespannt wie er reagieren wird. Alles im allem habe ich den Eindruck das sich da einige Leute mächtig beim Mausen erwischen lassen haben und intensiv damit beschäftigt sind zu prüfen, welche kompromitierenden E-Mails sie selber betreffen. Das Ausmaß des Schadens für „tausende Konsenswissenschaftler“ ist noch nicht mal ansatzweise zu ermessen, ich bin schon auf die nächsten Tage gespannt. Hacker………ich tippe da mal eher auf einen Insider der genau wusste, welche Infos raus müssen um gewissen Leuten die schäbige Maske vom Antlitz zu zerren. Ja, wo sind die AGWisten geblieben! Haben sie gemerkt, dass ihr Kartenhaus vom neuen Wind der CRU Daten einfach weggeblasen wurde! Suchen sie sich schon einen neuen Job oder neue Geldgeber? ClimateGate ist erst am Anfang. Nächster Schritt muss der Rücktritt von Phil Jones sein und die offizielle Rücknahme des „hockey sticks“ durch M. Mann incl. öffentlicher Entschuldigung. Der Gegenangriff der betroffenen Klimawissenschaftler ist bisher ungefähr so überzeugend wie ein warmer Pups! Dagegen sind die Mails kleine Silvesterknaller und nur die unterstützende Dekoration. Könntest du den Link komplettieren? Du stellst im Zusammenhang mit „Stiller Beobachter“ die richtige Frage, er stellt selbst so komische…. Die Sache läuft darauf hinaus, dass es überhaupt kein funktionierendes Klimamodell gibt. Mit anderen Worten: „Der Kaiser ist nackt“. Die haben die ganzen Jahre nichts weiter gemacht, als die Tatssache zu verbergen, dass der Kaiser nackt ist. Und natürlich „the game“ nach den „rules“ gespielt. Am 23.11.2009 um 16:00 bringt die Suche unter dem Titel „climategate“ bei google 86.000 Antworten! Hier wird “Mike’s Nature trick” in den richtigen Kontext gestellt. Sehr interessantes Interview mit Senator Inhofe! Er fordert eine unabhängige Untersuchung! Eins jedenfalls dürfte heute schon fest stehen, dieser Hack wird immer größere Kreise ziehen und einer der wichtigsten „Klimaforscher“ in einem ganz anderen Licht erscheinen lassen. Mal ne Bitte an Herrn Kipp, versuchen Sie bitte mehr über die Beziehungen dieser „Forscher“ und den Leuten vom PIK zu ermitteln. Es wäre unheimlich interessant für den Leser, wenn Querverbindungen auftauchen die schon heute einige Leute dort ins schwitzen bringen werden. Es ist eigentlich nur eins zu bemerken, es ist verdammt leise um unsere „Panikmacher“ geworden, müssen die sich erst die Wunden lecken? > Es ist eigentlich nur eins zu bemerken, es ist verdammt leise um unsere “Panikmacher” geworden, müssen die sich erst die Wunden lecken? Nein, die sind damit beschäftigt, den Aktenvernichter zu bedienen und alle Festplatten zu löschen. Teils direkt, teils in Mails zitierte Mails. Geh doch mal auf die Suchmaschine und gib „Rahmstorf“ ein, dann kriegst Du sie alle aufgelistet und Du kannst sie nacheinander lesen…. ich lese mit sicherheit nicht nochmal den knigge. bei soviel hvb bleibt mir schlichtweg die spucke weg. Wenn Sie jetzt noch ein wenig konkreter schreiben könnten, was genau Ihnen an obigem Artikel nicht gefällt, dann bin ich gerne bereit mit Ihnen zu diskutieren. Wenn Sie allerdings nur zusammenhanglos rumpöbeln wollen, dann sind Sie hier definitiv falsch. das ist doch kappes. ein forscher an und fuer sich hat erstmal nur ein ziel: die wahrheit rauszufinden. maximal noch ein zweites ziel: etwas was er macht als besser zu verkaufen, als es ist, um geld fuer weitere forschung (= überleben, nicht luxus) zu bekommen. das zweite fällt bei sowas populärem wie klimaforschung flach. also kann man guten gewissens davon ausgehen, dass es dem gros der klimaforscher darum geht, die wahrheit rauszufinden, insofern haben sie es nicht nötig etwas künstlich zu beschönigen, um irgendeinen wettkampf um die meinungshochheit zu gewinnen. dagegen stehen alle anderen menschen. die teilen sich im wesentlichen auf in lobbyisten, möchtegernforscher und ignoranten. die lobbyisten kampfen um den erhalt von macht und geld und haben etwas gegen schlechte klimaprognosen. manchen kommt das thema klima sicher gelegen um sich damit zu profilieren. dafuer brauchen sie aber nicht die detailarbeit. im grossen und ganzen haben lobbyisten also kein interesse daran, klimaforschung auszuweiten. entweder weil es genug klimaskepsis gibt, oder weil es für sie sogar negativ ist. dann gibt es die möchtegernwissenschaftler. die meinen immer: wenn es etwas gibt, was alle „glauben“, dann muss es aus prinzip falsch sein. im uebrigen sind wissenschaftler grundsätzlich zwielichte und arrogante charaktere, die nur böses im schilde fuehren. deswegen ist das mit dem klimawandel absoluter humbug. das kann man ganz klar mit 2, 3 argumenten belegen, die jedes kleine kind versteht. denn das klima auf der erde ist nicht so kompliziert, dass selbst supercomputer überfordert sind. nein, es ist so einfach, dass es jedes kleine kind versteht. insofern bleibt auch ohne kenntnis der details nur eine schlussfolgerung: es gibt eine menge leute die etwas gegen etablierte klimaforschung haben und nur wenige, die etwas dafuer haben. Gute Wissenschaftler, schlechte Wissenschaftler……wer legt das fest? Was sind Wissenschaftler denn in ihren Augen, wenn Sie sich weigern Daten herauszugeben, auf die Ihre Forschungsergebnisse aufbauen? deswegen ist das mit dem klimawandel absoluter humbug. das kann man ganz klar mit 2, 3 argumenten belegen, die jedes kleine kind versteht. denn das klima auf der erde ist nicht so kompliziert, dass selbst supercomputer überfordert sind. nein, es ist so einfach, dass es jedes kleine kind versteht. Aha, und warum beschäftigen sich Tausende von Geo-Forschern denn damit? Wozu fordern die ständig neue Geldmittel weil immer noch „Forschungsbedarf“ besteht? Anscheinend hat man Sie als kleines Kind schon eingelullt und konditioniert, ansonsten würden Sie mal ihren Denkapperat endlich einschalten. Frage Sie mal Herrn Latif, wat der von Ihrer „kinderleichten Vereinfachung“ hält, der wird ihnen schon ein paar Takte erzählen. Das Competitive Enterprise Institute (CEI) hat seine Absicht aktenkundig gemacht, gegen die NASA und ihr Institut GISS Klagen wegen Verstößen gegen das Informationsfreiheitsgesetz einzureichen. Nur wir Deutschen sind ja so Obrigkeitshörig und Vorkonditioniert, wir glauben immer noch alles was vom Elfenbeinturm zu uns herunterschallt. Ich mach mir die Welt wie sie mir gefällt, Klimahyper haben eine einfache Weltsicht, viel CO2, böse Erwärmung und basta. Naja, leben Sie in ihrem Traumland ruhig weiter, für die Realität sind dann wir zuständig. natürlich werden daten zurückgehalten. aber das klimaproblem ist so komplex, dass nunmal vereinfacht werden muss. aber nur weil ein paar engländer so doof sind sich das nachweisen zu lassen, sind tausende von forschern lügner und betrüger, die alle unter einer decke stecken? entschuldigung, aber das ist doch quark. ich bin sehr kritisch und hinterfrage alles, aber diese vermeintlichen aufdeckungen, wie auch bei 9/11 geschehen, gehen mir auf den geist. Gerade da liegt der Hase im Pfeffer, man kann diese System nicht einfach auf einen Faktor vereinfachen. Klima ist ein Regelsystem mit 2 Hauptkomponenten und x+n Störgrößen die sich auch noch gegenseitig beeinflussen. Die Energiebilanzerhöhung bei Verdopplung der CO2 Konzentration um 2,x W/m² ist ja ganz nett, was ist aber wenn durch Veränderung des Albedos (Verstärkte Wolkenbildung) die eingestrahlte Energie der Sonne sich verringert? Hmm, da wirds schon schwierig mit der Milchmädchenrechnung, gelle. Tja….es geht weiter, inzwischen gehts NASA-GISS auch an den Kragen und die Klimadaten Neseelands scheinen auch manipuliert worden zu sein, wer weiß was die nächsten Tage noch so alles an die Öffentlichkeit kommt. Der Rest der „tausenden Forscher“ benutzt aber gerade diese „Daten“ als Grundlage Ihrer Forschung, was denkst Du denn was am Ende dabei raus kommt? Wenn schon die Eingangsparameter Mist sind, kann das Ergebnis auch nicht viel besser sein. Ich betone es hier nochmal, gerade dieser Skandal rüttelt an den Grundfesten der Klimaforschung, wenn man nicht einmal mehr den Temperaturmessungen der letzten 30 Jahren trauen darf, was bleibt denn da noch von der „einmalig, nie dagewesenen Erwärumg“ seit Menschengedenken? Ausserdem hab ick persönlich was dagegen, wenn man mich mit voller Absicht über den Löffel barbiert und mich dazu auch noch meines schwer erarbeiteten Geldes beraubt. Naja, zu 9/11 sag ich lieber nichts, denn da liegen dermassen viele logische Fehler vor, das ich der offiziellen Version einfach nicht glauben KANN.